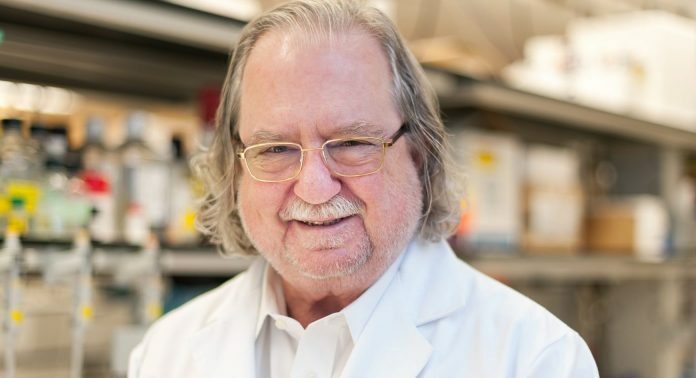 Johnson & Johnson has named James Allison, Ph.D., of University of Texas MD Anderson Cancer Center, winner of the 2018 Dr. Paul Janssen Award for Biomedical Research. Allison, a pioneer in the research and methods used to treat solid tumor cancers by marshalling the resources of the human immune system is the 16th winner of the award, including two Nobel laureates. Allison’s significant body of work on the T cell inhibitor CTLA-4 stretches back to the late 1980s and early 1990s while at MD Anderson and the University of California, Berkeley, along with fellow researcher Jeff Bluestone. In 1996, Allison was the first to show that CTLA-4 could lead to enhanced anti-tumor immune responses and tumor rejection, a discovery that ultimate led to the development and approval in 2011 of ipilumab—trade name Yervoy—for the treatment of metastatic melanoma. Allison’s current areas of research focuses on the immunology of the T cell receptor complex, co-stimulatory receptors, and other molecules involved in T cell activation. The Janssen award is the latest among a host of awards won by Allison for his groundbreaking work. Others of note include the Wolf Prize in Medicine (2017) and Lasker-DeBakey Clinical Medical Research Award (2015). Nobel laureates who have won the Janssen award include cell biologists Yoshinori Ohsumi, Ph.D., for his work on the mechanisms of autophagy; and Craig Mello, Ph.D., who shared the award in 2006 with Andrew Fire for their work in RNA interference. The Dr. Paul Janssen Award for Biomedical Research was established by Johnson & Johnson in 2004 to honor the memory of Dr. Janssen who contributed to the discovery and development of more than 80 medicines, four of which remain on the World Health Organization's list of essential medicines. Winners are chosen by an independent selection committee of the world's most renowned scientists. The Award, which includes a $200,000 prize, is presented at ceremonies in the U.S. and Belgium in September.